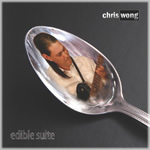 An 11-track album of instrumental songs from one of the most gifted guitarists and instrumentalist of the moment..
"Chris Wong has crafted an amazing assortment of goodies for his Edible Suite. This man is a multi-talent. Thoroughly recommended"